Includes a green jumpsuit with a blue and yellow stomach, a hood with large eyes and a pair of gorgeous boots with non-slip soles shaped like frog legs. Upload your photos to Instagram with the hashtag #funidelia followed by #funidelia20439. 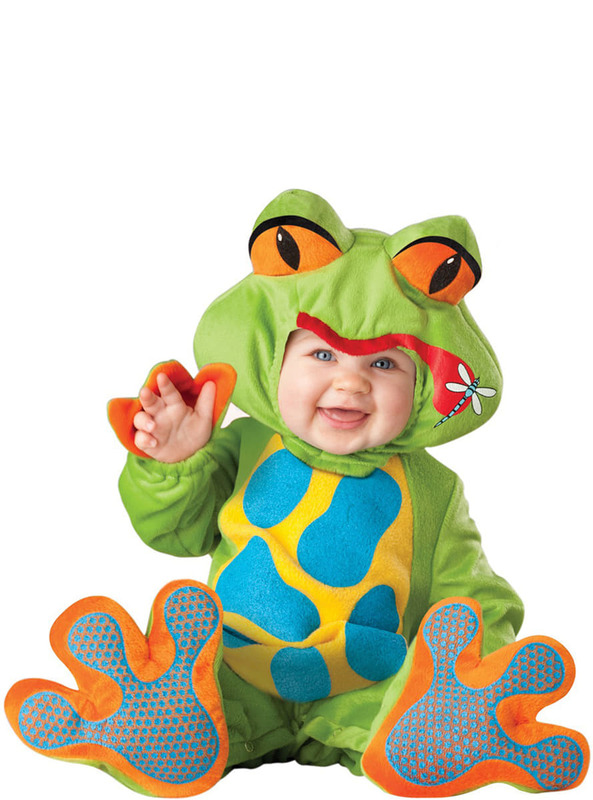 Product Rating: "Funny Frog Baby Costume"